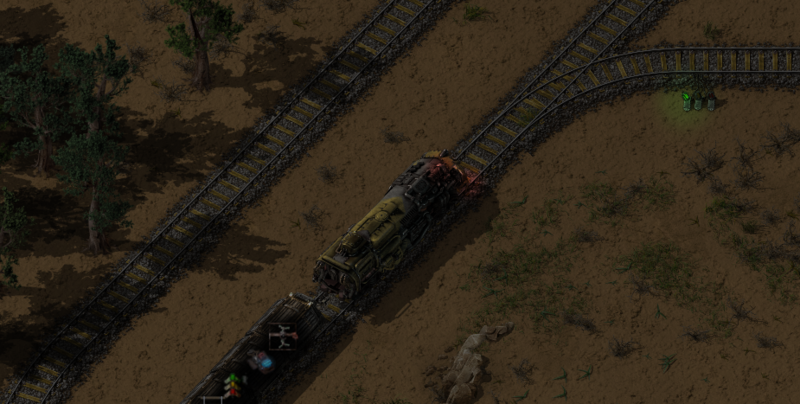 [0.16.47] Train turns in the wrong direction. After the latest update, when fixing the way trains turn when reversing, driving while inside locomotives in reverse does not turn in the correct direction if you are not accelerating. In the first case, if I press right while the train is moving, I switch right at the intersection. In the second case, if I press right while the train is moving, I switch right at the intersection if I'm also pressing forwards (accelerating). If I am not accelerating, the train goes straight (and turns left if it finds such intersection). I believe that while this is the intended behaviour for train cars, it's not for locomotives. EDIT: Thanks Jap2.0 for the spoiler fix. Last edited by Wizard Marcos on Fri Jun 01, 2018 12:01 am, edited 1 time in total. Re: [0.16.47] Train turns in the wrong direction. I also experience the same issue randomly, not all the time though.